We are now well into the 2nd year of the Orphans Foundation Fund / CORDAID street children project. 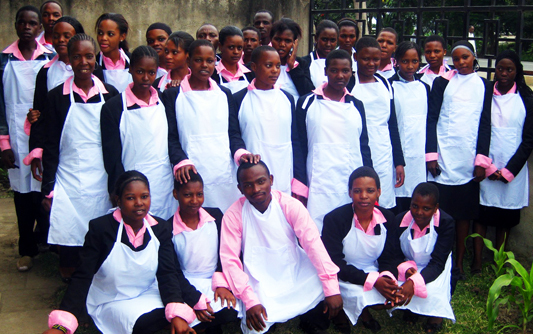 Here are the cooking students with their new uniforms and aprons ready to enter the various kitchens in which they will do practical training in the art of cuisine. This entry was posted in Recent News and tagged Africa, arusha, children, Cook, CORDAID, foundation, fund, orphans, Project, Street, students, tanzania. Bookmark the permalink.